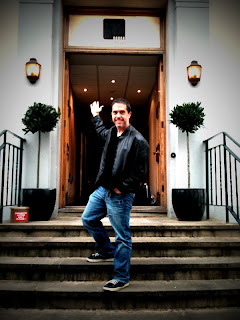 Lee Unkrich is a longtime member of the creative team at Pixar, where he started in 1994 as a film editor. Unkrich graduated from the University of Southern California School of Cinematic Arts in 1990. Before joining Pixar, Unkrich worked for several years in television as an editor and director. He came to Pixar on a temporary assignment during the development of Toy Story and he later moved into directing, as co-director of Toy Story 2, Monsters, Inc., and Finding Nemo. 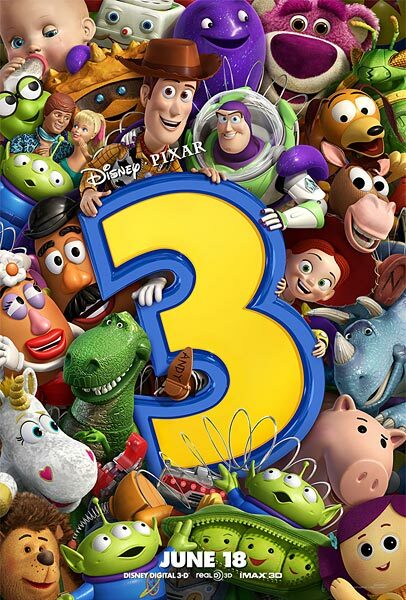 His upcoming work Toy Story 3 will be released on June 18, 2010. On Monday, Sept. 7, 2009 the 66th Venice Festival hosted a Pixar Animation Master Class on storytelling. Here's an excerpt of the speech by Unkrich during the special panel on animation. "What is the difference between editing live action and editing animation? During live action you shoot first and then edit together after you shoot. 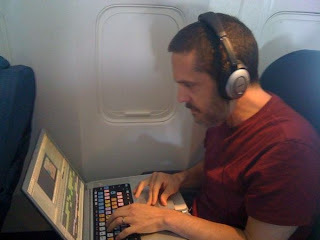 But in animation, we edit first, then create the footage. 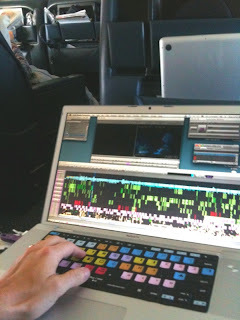 Or more accurately we edit, before, during and after the film is shot. The best analogy I could come up is that editing an animated film is like building a sand castle. one grain at a time. Thousands of bits to be assembled. We have to focus on innumerable details, frame by frame, moment by moment, as well as keeping an eye on the big picture and how the movie is playing as a whole. At the end the editor’s responsibility is the same in live action and animation. He manages the narrative structure and flow of the film as well as orchestrates the sound and visuals to create an engaging experience for the audience. Editing animated film begins with a first tiny piece and that piece is a drawing, a storyboard, that first drawing is followed by a second, a third… one hundred thousands storyboards. The storyboards are edited together in a story reel. It’s a working document, an extension of the writing process, it’s a way how to judge how the film is flowing. A story reel done well provides the audience with a nearly completed experience that its only going to get better when the film is animated. "Eventually the real roles of the film will be cast with real actors. The temporary dialogue (performed by people we work with at Pixar) is then replaced by the performances of real actors. In addition to editing vocal performances we will also edit sound effects and we do this around the scene in a sonic environment and give it more texture and believability. It takes a lot of time to do all the sound work, but I think it is very very important to help to keep the audience wrapped up in a spell like the feel to watch a real film. 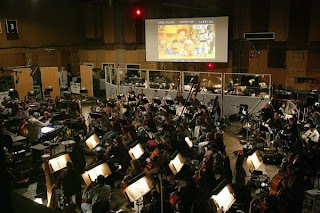 We also take music from existing movie soundtracks and we’ll edit that music against the scene. "Animation is actually combination. 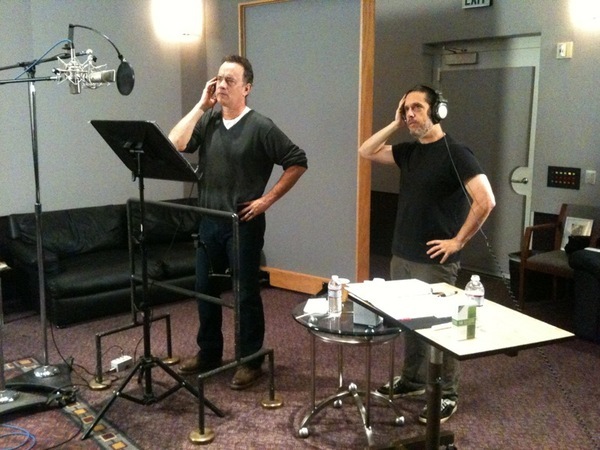 Is the voice actor plus the animator. They create the character. In early exploration in animation we sometimes take lines of dialogue from movies with actors we are interested in. The choice of the actor really does affect the personality of the character. So in the voice casting is so important to get an actor who can be, first of all we always get actors that are themselves. Not care how big the star they are , the important thing is how good an actor they are to get the action. "Many of the lines are the price of many little pieces of several different takes. Some of them recorder at multiple recording sessions. One of the luxuries in editing for animation is that we have a degree of control over how to shape the actor’s performances that is really nearly impossible in live action. So for a single performance can comply with different multiple takes from months apart. 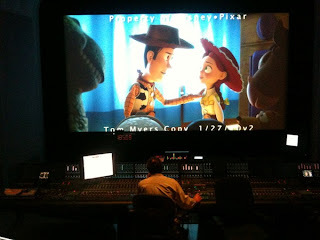 At ShoWest 2010, Dolby announced it is working with Walt Disney Pictures and Pixar Animation Studios to deliver a new audio format, Dolby Surround 7.1. Disney and Pixar have stated that Dolby Surround 7.1 will be launched in select theatres with the release of Toy Story 3 in 3D this June. Dolby Surround 7.1 provides content creators four surround zones to better orchestrate audio channels in a movie theatre environment. The four surround zones incorporate the traditional Left Surround and Right Surround with new Back Surround Left and Back Surround Right zones. The addition of the two Back Surround zones enhances directionality in panning 360 degrees around the theatre. Dolby Surround 7.1 format comprises 8 channels of audio and has the following channel layout: Left, Center, Right, Low-Frequency Effects (LFE), Left Surround, Right Surround, Back Surround Left (new), and Back Surround Right (new). All material used on these pages is copyrighted by its respective copyright holder. Disney/Pixar images are ©Disney/Pixar.